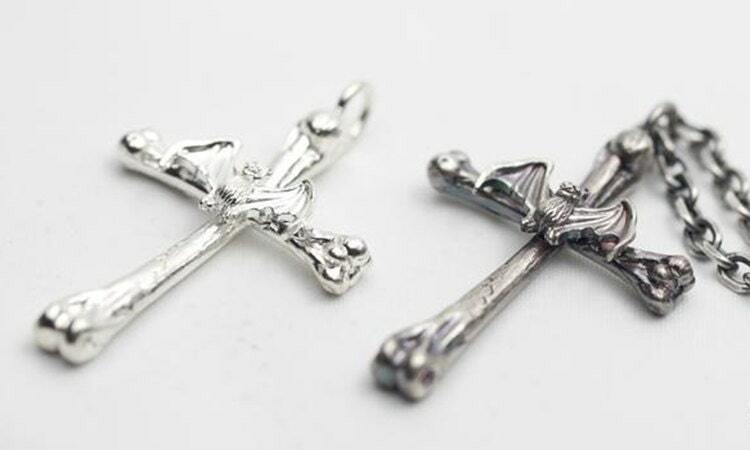 The Gothic cross necklace is built around the rather visible, substantial silver charm - an stylized cross made of two silver bones. A small, silver vampire bat figurine sits on top of the cross. 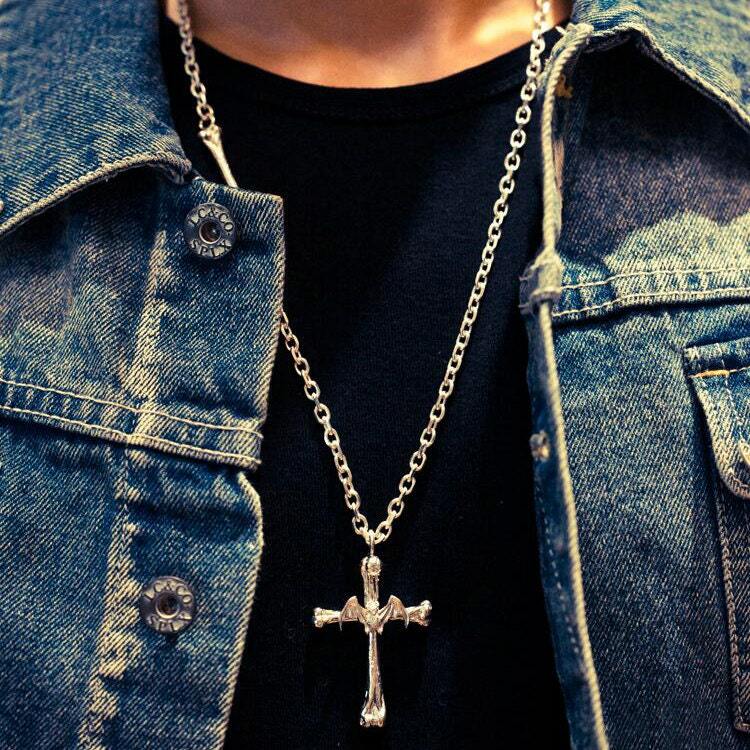 If you want to create a dark, brooding, gothic look for your Halloween dress party - you will surely like this silver cross necklace. Or you can just wear it as a fun, edgy fashion accessory. The necklace includes three more silver bone pieces built into it. 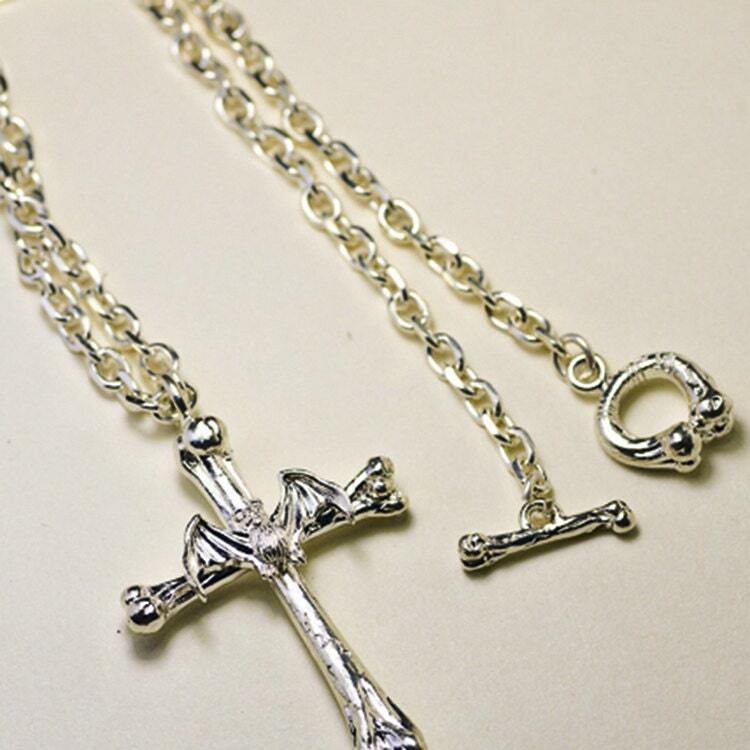 One medium-sized silver bone is attached right in the middle of the silver link chain. Two smaller bones are styled into the toggle closure for the necklace. Necklace Length Options: 45cm/17.7inch, 50cm/19.7inch, 55cm/21.7inch, 60cm/23.6inch. FYI: The model is wearing a 60cm/23.6inch necklace. 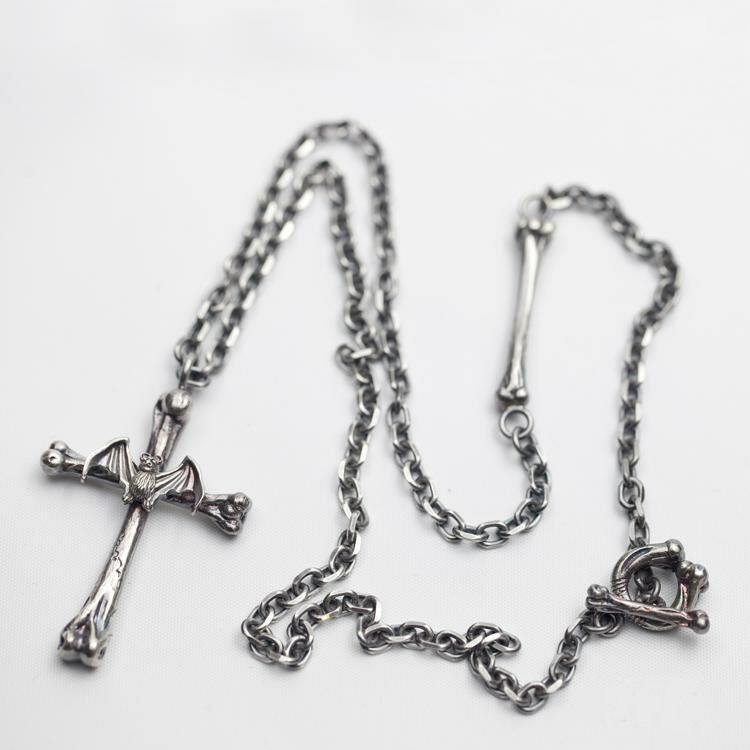 The gothic bone cross necklace is available in two finishes - the original, shiny silver finish, and an oxidized, vintage finish.